More than three times as many people move onto health related benefits each month as those who come off. Therefore supporting people to manage their health in work to prevent them needing health related benefits is key. 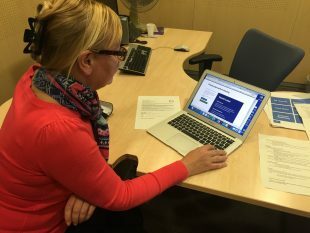 This is why over the last 18 months, Policy Lab has been working with the Work & Health Unit (a joint unit between DWP and DoH) to create ways to support people to manage their health conditions at work. We’ve prototyped (mocked things up and tested them out) on paper and in real life situations in Jobcentres, with employers and in GP surgeries, but we also wanted to explore the opportunities of digital. 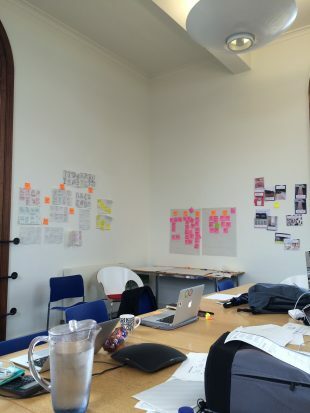 To do this we wanted to use a design sprint. 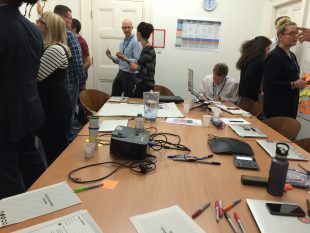 At DWP Digital, the design team led by Ben Holliday had already found that this is a great way of bringing together policy and digital thinking and so we wanted to explore this further. Day 1: looked at the original PolicyLab research and then spent time understanding assumptions behind existing concepts, prioritising those that were the most important to test. Day 2: looked at how the paper prototype ideas had developed so far and then developed new service design concepts around key user journeys. Day 3: made a thing to help us test our biggest assumptions. Day 4: tested with users, employers and job centre staff. 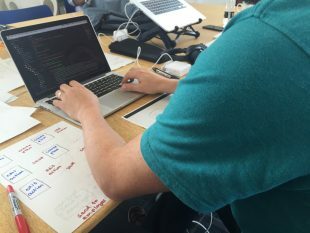 The goal wasn’t to build a working digital product in 4 days. Instead the team focussed on designing smaller elements of a digital service, something we could take into user research to learn from. Doing this collaboratively helped to put everyone on the same wavelength. We needed to spend the first couple of days creating a shared understanding within the diverse team. But this shouldn’t mean ignoring the different perspectives people have, in fact it should mean embracing them. When we started to build the product everyone’s role became apparent, but perhaps this should've happened earlier. Each day we invited colleagues from the department to come and challenge our work. This brought new insights and thoughts that impacted on how we took the work forward and helped to keep us on track. Presenting your day’s work to people who don’t know anything about it helped us to think about what we had done. We had four days, so it was important to be disciplined and not fall behind schedule. Throughout the week the team were all energised and focussed within the time constraints, but we had to manage this carefully. The team need to be in an environment that is conducive to their work. If we want to run policymaking ideas like design sprints, we need to find and make available the space to do this. The difference from our first day spent in a basement to the rest of the week in a bright and spacious room was distinct. Tea represents more than just tea when running something like this. Members of the team were working hours far beyond what they are expected to work. Having a flow of tea and biscuits or grapes just helps to say “thanks for being here, we’re all human, we all need a break from time to time and we all need something to help us keep going”. If I were to do this again I would provide much more of this, making sure people don’t have to fund this themselves. It’s a good investment. To help progress a concept or policy, a design sprint can be extremely helpful and I would recommend it. The term may not be familiar, but the name doesn’t matter. It’s simply an opportunity to work together to explore ideas in a fast, iterative and possibly most cost effective way. It’s an opportunity to learn by making, together.